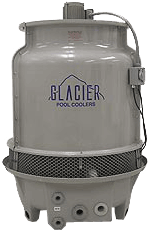 Glacier Pool Coolers is the perfect solution for hot swimming pools! Enjoy a cool and refreshing swimming pool all summer long with chillers by Glacier. To learn more about Glacier's product line, visit our Swimming Pool Chillers webpage or contact your Export Manager.